When it comes to cleaning up hacked websites one of the three basic pieces of doing a proper cleanup is trying to determine how the website was hacked. Without doing that you leave open the possibility that the vulnerability still exists and can be exploited again. Not surprisingly then when people come to us re-clean a hacked website after another company has done that and the website got hacked again there has almost never was an attempt to determine how the website was hacked during the previous cleanup. Another reason for trying to determine how the website was hacked is so that you can possibly prevent other websites from being hacked through the same vulnerability. We say possibly, because as a hack we recently traced back to a template from Template Monster, trying to work with the party responsible for the vulnerability may not get you anywhere. Before we get to the vulnerability let’s do a quick walk through how we came to find out it had been exploited. We were recently brought in to clean up hacked Joomla website where the person already dealing with it was removing malicious code from .htaccess files and the index.php files of the installed template, but it kept returning. In situation like that our first step is to review any available log files to see what they show about how the hacker is making the changes. In this case we found suspect requests being sent to a file in the /modules/ directory. The installation of a malicious extension would most likely be done through a hacker’s access to a Joomla admin account. So we then reviewed the database table that stores user accounts and found there were numerous accounts that didn’t look legitimate. Only one of those was recorded as having been used to log in to the website recently. For that account the email address was “demo@demoolink.org”. We then did a Google search on that address and found a thread on the Joomla Forum where someone had a template that was trying to create exactly the same user using a SQL statement. By exactly the same, the registration time specified for both was exactly the same, down to the second. What didn’t make much sense to us is why a template would be trying to create a user. Considering that the template in use on the website we were cleaning was a commercial template from Template Monster, we first thought the explanation might be that it had been obtained from a warez website and the template was modified to allow website installing it to be exploited. Any website that installed that sample data would have a Super User (the highest level user in Joomla) with the same username/password combo. Unless one of those was changed then someone that could figure out the password could log in to the websites where this sample data has been installed. At that point it looked to us that the user might have been installed across multiple Template Monster templates. At that point we also contacted Template Monster informed them of the issue and suggested that they notify anyone that had purchased the impacted templates about the potential issue. We also suggested that they register the domain name demoolink.org seeing as that isn’t registered and someone could register and use it to gain access to the impacted website without even knowing the password (by resetting the password). Thank you for reaching the Technical Department of Template-Help.com! Take our apologies for the delayed reply. We are sorry for inconvenience caused by this. Usually clients change demo email address. We are happy that you managed to resolve it yourself. Let us know if you are having any other issues with the template. 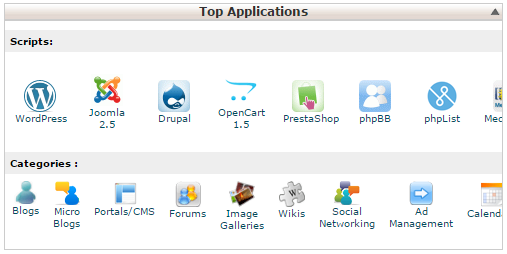 demo@demoolink.org is added in admin panel as example of demo link, you can easily change it. Please specify with some screenshot what issue exactly you are having so we will be able to check it for you. We appreciate the information you’ve provided. We will forward it to our development department. They will check it more carefully. Thank you. Have a nice weekend. You can delete sample user though the Joomla administration panel in the “Users > Users Manager”. In case you are planning to use sample data we recommend you to change Sample Author user login and password. We still don’t understand what the purpose of creating a sample Super User like this, since another one is created when installing Joomla. That certainly isn’t a claim that is made by Joomla (nor would you expect it to be a claim that is likely ever made by someone trying to be taken seriously). Already a “high” priority SQL injection has been fixed since 3.7.0 was released, which was considered serious enough for Joomla to pre-announce that a security update was coming. We will identify possible loop hole in security and install required updates and patches. Because of consent Joomla and component upgrades, this is a critical step to prevent hacking. As soon as we are engaged to fix your hacking issues or to prevent your website from hacking, we will do a thorough analysis and prepare an action plan to recover your website at the earliest. Mostly a Joomla upgrade should fix it, but it depends on the kind of website and problem you have. We deal with lots of hacked Joomla websites and upgrading would not normally fix them. Perpetuating that idea is decidedly not helpful, as if our experience is any indication people with hacked website will often come to that conclusion and then hire someone to upgrade it without mentioning that they are doing that to clean up hack. Trying to upgrade a hacked website could actually make the situation worse, as it might cause the upgrade to go wrong and it could erase important evidence needed to determine how the website hacked, which may be needed to prevent it from being hacked again. Joomla has announced that an update to fix a critical security issue is going to be released tomorrow morning, 8am MDT. They haven’t released any details on the issue, but have said that “Since this is a very important security fix, please be prepared to update your Joomla! installations next Tuesday.”. That sounds like good advice to us. When it comes to the security of websites what we often see is that a lot of focus is add-on security products instead of focusing on doing the basics. The reality is doing the basics is going to do a lot more to protect you than any security products. As an example, over at our Plugin Vulnerabilities service we recently tested 11 WordPress security plugin against a very exploitable vulnerability in a plugin and found that only 2 of the plugins provided any protection and for those two we easily found a way to bypass them. By comparison, simply updating the plugin after the vulnerability was fixed would protect you from the vulnerability. We explained them what was going on (if you have a question related to a possible hacked website we are always available for free consultation to discuss it) and then we were brought in to clean up the website. One of the next steps in the cleanup was determining how the code got on the website. While determining how a website is hacked is one of three important pieces of a proper hack cleanup, many, maybe most, companies doing hack cleanups don’t do this. Not to surprisingly the website where that doesn’t happen often get hacked again, and we are often brought in at that point to re-clean it. 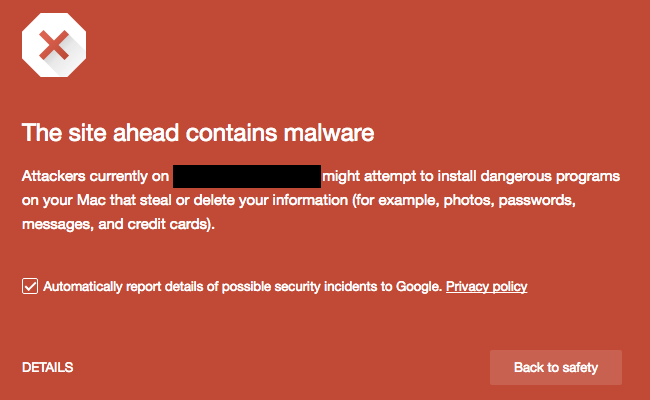 That was not the only malicious file on the website. One of the easiest to spot was one in the root directory of the installation, due to the filename, ee79bb.php, not being something you would expect to see there. There were also several malicious files that had been renamed so that could be executed. At that point we found out that website had been hacked before, but it not been cleaned in a professional manner before. While the website had not been fully cleaned before, two firewalls had been added, RSFirewall! and the firewall that is part of Admin Tools. Neither of those protected against the request sent to the general24.php file or based on their logging look to have had any impact as a number of other malicious look to have been added on the website over a period of months. That isn’t necessarily their fault, as once a hacker has some access it is much harder to detect that the requests are malicious in nature, but it is a reminder that security add-ons are not a replacement for proper security practices. RSFirewall! 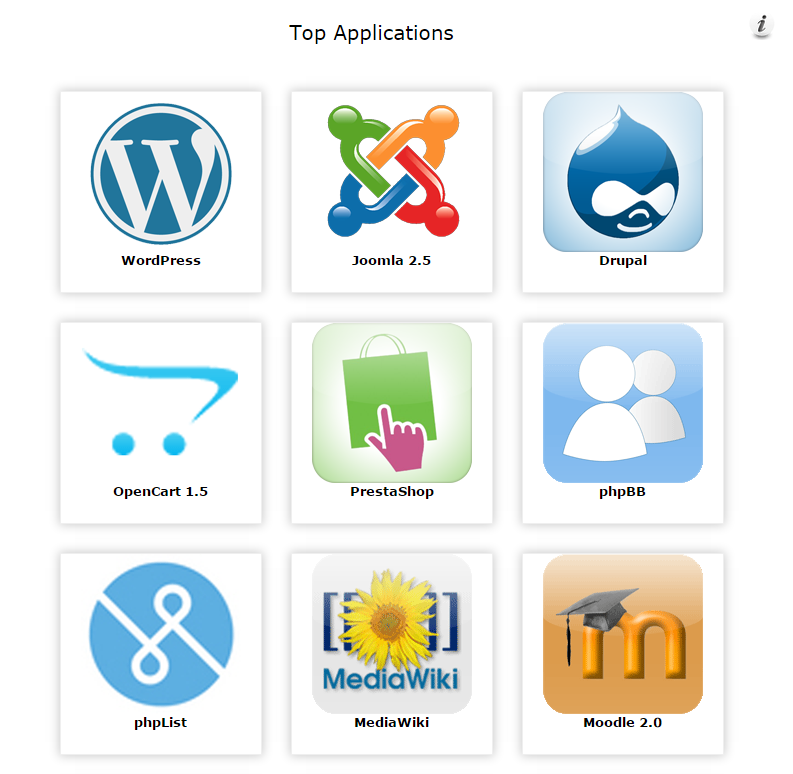 is the most advanced Joomla! security service that you can use to protect your Joomla! website from intrusions and hacker attacks. RSFirewall! is backed up by a team of experts that are trained to be always up to date with the latest known vulnerabilities and security updates. Nowhere is there anything that actually backs up those claims. Also troubling is the fact that it boasts protection against brute force attacks, despite those not actually happening. Our Web Application Firewall protects your site against the vast majority of common attacks. You won’t find any security tool more feature-complete than this. But again, nowhere is there anything that actually backs up those claims. Joomla 1.7 reached it end of life back in February of 2012. So this company has not updated their software in over four and half years and have missed over 30 subsequent updates that included security fixes. When they are not even keeping their website secure, what are the chances that they are going make sure the website they cleaned up are actually secured after their work? Joomla has put out an announcement that a new version, 3.4.5, will be released at 10 AM Eastern on Thursday that will contain a “very important security fix”. No details of what is the issue being fixed is have been released, but this is the first time that they have put out announcement like this as far back as we can remember, so it appears to be something that would be a major concern. The last release that fixed a vulnerability that was exploitable in a non-targeted fashion was version 2.5.3, which came out in March of 2012. For those still running 2.5.x, it would be a good time for you to upgrade as support for that version ended back in December. That upgrade often isn’t a one-click upgrade. When it comes to keeping websites secure, keeping the software on them up to date is one of the basic measures that needs to be taken. We know that web hosts are aware of this because they will often tell people when their websites have been hacked that it was due to outdated software (since this usually isn’t based on any actually evidence, it often is wrong). Unfortunately we continue to find that web hosts don’t bother to make sure that they are not distributing outdated software to their customers. That should not be happening since support for Joomla 2.5 ended back on December 31. Not only does that put websites at risk if a security issues is found in Joomla 2.5, but it can cause unnecessary trouble down the road because upgrading from Joomla 2.5 to 3.x is not always the one-click upgrade it is a promoted as. Support for Moodle 2.0 ended nearly three years ago, in June 2012. 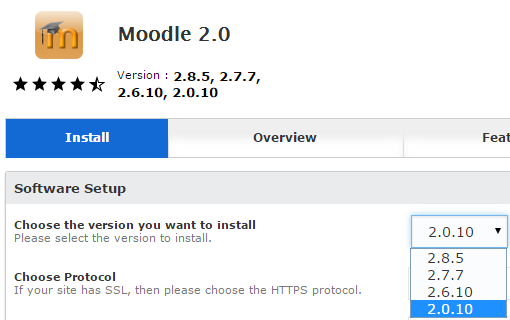 Installing this version now will lead to otherwise unnecessary work down the road because Moodle will have to be upgraded to version 2.2 before it can be upgraded to a version 2.3 of higher. With support for Joomla 2.5 having concluded at the end of December more people are trying to upgrade to Joomla 3.x. With that more people are also realizing that the process isn’t quite as easy it might sound in many cases. While the Joomla documentation describes the upgrade type as “One-click to 3.x“, a number of issues can make the process more complicated. 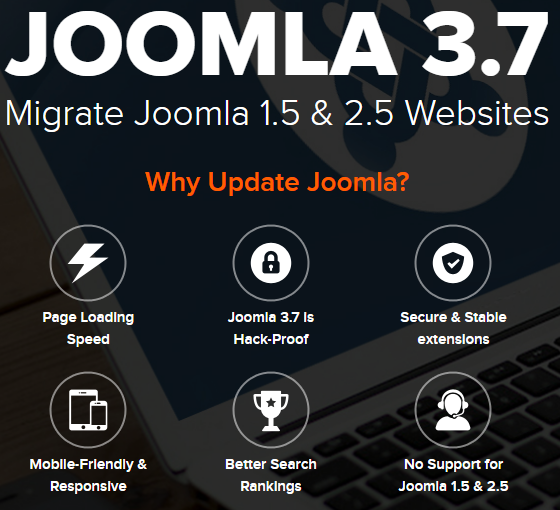 Before we get in to those issues, let’s get to the best piece advice we can provide after having done numerous upgrades from Joomla 2.5 to 3.0.x-3.3.x for clients over several years: make a copy of the website and test the upgrade on it first. This allows you to work through any issues that come up before you upgrade your production website, which makes the process easier and less stressful. Make a copy of your websites file and put them in the new directory on the website. Create new database and import the contents of your production websites database in to that. Update your configuration.php with the credentials for the new database and if you have the $live_site variable set, update that as well. With that running you can then move on to doing the upgrade in that. 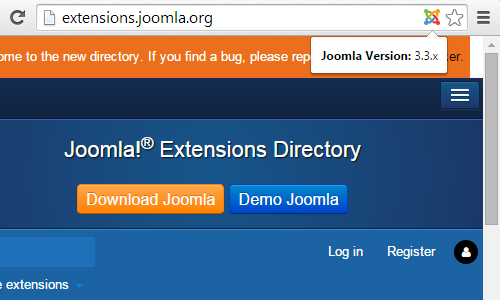 The biggest problems when upgrading from Joomla 2.5 to 3.x comes from extensions. In the worst case a problem with an extension can cause the upgrade to fail and the website to completely be broken. This issue unfortunately is all too common occurrence and it is big part of why we suggest doing the test of the upgrade first as restoring the website after a failed upgrade is not something you want to have to do if you don’t absolutely have to. With a test copy you can just remove the broken test copy, make a new copy, and then retry the upgrade, this time making changes to make sure the extension that caused the problem does not cause the problem again by disabling it or removing it first. While making sure that you have all of the extensions up to date and removing any that are not listed as being compatible with 3.x before the upgrade starts can help to limit problems with extensions it won’t handle everything. 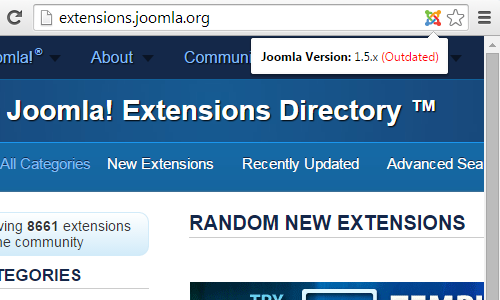 In one case an extension had been removed some time in the past but a plugin that was part of got left behind, the plugin then caused the Joomla search functionality to be broken in the newer version. For some more complicated extensions you need to do multiple upgrades of the extension, some before and after the upgrade of Joomla from 2.5, which is also something you want test before doing on the production website. We often find that existing templates require some minor tweaks to keep their existing styling when running on Joomla 3.x. That is much easy to do if you can see the way it looks in Joomla 2.5 while making the changes. In small number of cases there have been more serious problems due to coding in the templates that causes broken pages to be shown when running in Joomla 3.x. It is much better to find and fix this in the test copy then having trying to fix it while customers are trying to access it. That is despite the fact that support for that version ended back in September of 2012. It obviously doesn’t look good when the developers of software can’t even keep on a supported release of their own software. Unfortunately it doesn’t appear that even their inability to get off of Joomla 1.5 for so long has lead them to provide anything to make it easier to move off that version, which many others still remain on. We were recently checking something in our analytics and noticed that a rather odd URL had been accessed. The URL, http://www.whitefirdesign.com/blog/?option=com_user&view=reset&layout=confirm, was for a section of our website running WordPress but the URL parameter, ?option=com_user&view=reset&layout=confirm, was for something Joomla related based on the “com_user” portion. A quick search identified that this was an attempt to exploit a vulnerability in older versions of Joomla. What is interesting about this is that the vulnerability was fixed in Joomla 1.5.6, which was released in August of 2008. Since most hacking attempt will not show up in analytics – due to them not requesting the tracking code – we were curious to see if there had been other attempts to exploit this that would show up in our access logs. We found that in the last six months there were attempts to exploit the vulnerability on 48 days. So hackers still feel there are enough Joomla website that haven’t been updated in six years to try to exploit it regularly. There are a couple of quick takeaways from this. One is that is that if you still have websites running Joomla 1.5, for which support ended in September of 2012, you should make sure they have been upgraded to the last version, 1.5.26, and had the additional security fix applied so that they are protected against attempts to exploit any vulnerabilities in older versions. 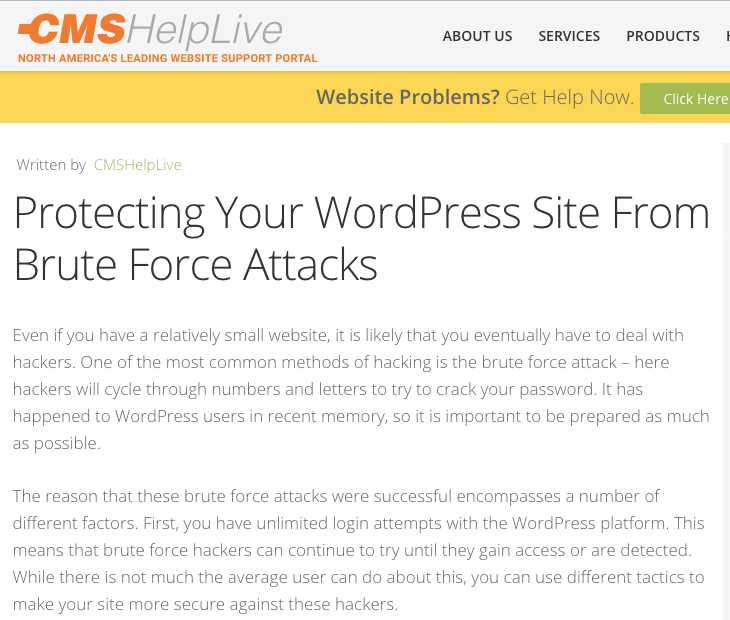 The other is that you don’t need concerned just because there has been an attempt to exploit a vulnerability on your website, considering that in this case a hacker tried to a vulnerability in very old versions of Joomla on a website running WordPress.